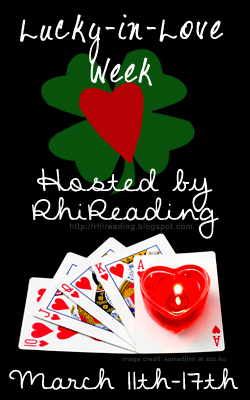 Thanks so much to Rhianna for hosting me here for this fun event! I’m happy to share my real-life lucky-in-love story…it involves a summer romance, an Italian fling, a long-distance love affair, and a moonlit proposal in a normally locked cupola on top of a building at the college campus where we met. Twenty years ago, I accepted a summer internship working at my college in small-town Pennsylvania. It was a great program that brought 30 students on campus each summer. During the days, we did our respective jobs, but at night and on the weekends, we all hung out together. Most of that summer, I helped Mr. Kaye land a girl he liked, and he helped me land a guy I liked. Then, in August, we realized the person we really wanted had been standing right next to us the whole summer, and fell in love. It was a wonderful few weeks, and then he left for Italy for a study abroad. Man, was that hard. I’d never been out of the country, but I missed him so much (and had run up so many phone bills!) that I managed to convince my mother to give me a plane ticket for Christmas. I left on December 28, and he met me at the airport in Milan, and then escorted me via the train back to his apartment in Bologna where he was going to school. Those were 10 of the most amazing days of my life. The passion of reuniting, the exotic location, hearing him speak Italian and navigate the city and the sites so effortlessly, it was all like living a romance novel, and those days cemented the fact that what I felt for him—what we felt for each other—was more than just a summer crush. That summer, he returned for his senior year at college, but I was a year older, and off to graduate school. So, for the next three years, our relationship was long-distance, me in grad school, and him in law school 2.5 hours away. It worked though, because we could concentrate on our studies, but when we got together, the only thing we focused on was each other. Finally, I completed my doctoral coursework and could do the rest from out of town, so we finally landed in the same place at the same time just before Christmas. And then on New Year’s Eve, he arranged a romantic trip back to the place where it all started—that small Pennsylvania town. Under the guise of surprising me with a dinner location, he blindfolded me, drove around town in circles, and marshaled me through snowy sidewalks and up steps. When he removed the blindfold, I was in the attic of a building on our college campus that was never open to students, and it was the way into the cupola, the physical symbol of the school we both loved and also historically a romantic spot on campus. We walked up to the top, taking in the sites of the moonlit snow, and he proposed. Now, we’ve been married for fifteen years, and there’s no doubt, I’ve been lucky in love. So, see? Winter can be romantic! 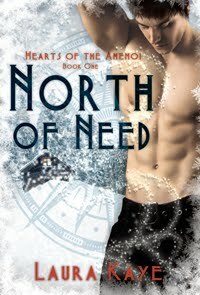 And if you need more convincing, perhaps you might give book 1 in my Hearts of the Anemoi series, North of Need, a try! After all, with winter just about ending, it’s the perfect time to read about my adorably hunky snow god, Owen Winters, before spring hits and his uncle Zephyros Martius comes to power (Zeph’s book, West of Want, releases in digital and mass market paperback formats on July 10!). Do you have a romantic winter story to share? 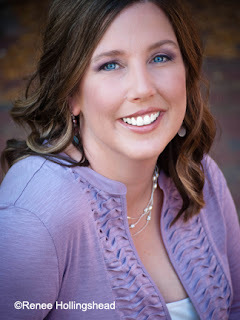 Voted Breakout Author of the Year in the 2011 GraveTells Readers’ Choice Awards, Laura is the bestselling and award-winning author of a half-dozen books. Hearts in Darkness is a finalist for the EPIC eBook Award for Best Novella, Forever Freed won the NJRW Golden Leaf Award for Best Paranormal of 2011, and North of Need, the first book in the Hearts of the Anemoi series, was named GraveTells’ Best Book of 2011 and won their 5-STAR Gold Heart Award, and won Sizzling Hot Read of the Year at Sizzling Hot Books. Laura lives in Maryland with her husband, two daughters, and cute-but-bad dog, and appreciates her view of the Chesapeake Bay every day. I don't have any romantic winter stories, we're not romantic people. I enjoy reading the romantic stories of others, I just don't want to experience them personally. Nothing here either - that's why I read them :). I can't really think of one. lol Other than my husband and I were caught in a snow storm in Tahoe without chains for the truck. We were less than an hour from Beale Air Force base where my husband was stationed back in 1985. After slipping and sliding on the road, we decided we needed to wait out the storm. We pulled over and spent the night at a Bed and Breakfast. I can't ever remember the name of it now. That's great, Karen! Love that! I live in the deep south, so no winter romance stories. Love to go camping in the fall, though. We always have a big fire and that's always romantic. I don't have a romantic winter story, but yours is a beautiful story. Very romantic. I can't wait to read your book. Love Laura's work! Hearts in Darkness was beyond amazing. I'm looking forward to reading this latest. Sadly, I do not have a romantic story to share...in fact, quite the opposite. Lol.